Happy Mothers Day to all Mothers and the Great Mother in all women. We ought to worship the Mother everyday. But do we? How often do we take our Mothers for granted and how easy is it to feel annoyed or frustrated by the woman who gave birth to us? Then again, so many have lost their Mothers and feel the lack, the loss and the deep pain of it like a gaping, dark hole in ones soul. Of course, through the light perspective we never loose anybody and our entire soul family surrounds us at all times. And since love is the vibration that communications through all dimensions, lets express our love to all Mothers, to the great Mother in all Mothers, no matter where she is materialized in this very moment. I would like to take this opportunity to worship the divine Mother. I am here to celebrate and love our female face of God. It is Mothers Day and she is the Mother of all Mothers. Lets give honor and gratitude to the balance of Mother God in perfect balance and harmony next to father God. As in the highest light of Oneness no gender specification exits, the materialization of male and female is apart of the consciousness expansion. 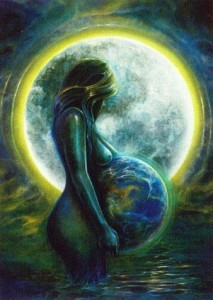 Mother Earth is the incarnation of our Divine Mother! Let’s hear it for Mother Earth! I would also like to send loving healing, strength and light support to all the Mothers that are living in any kind of suppressive environments. It is time to invoke a great influx of loving gratitude and acknowledgment to all Mothers and the Great Mother that resides within each and every one of them, and us, and you and me. We also wish to invoke the awareness of the Great Mother within every young woman. May you know the great power, which resides within you. May we all know the authentic empowerment that is the Great Mother within you. Feel the great love that surpasses the illusion of separation.